GPRS is on top of what is current in our industry and provides a free monthly newsletter with up to date news, case studies and laughs. Join the over 30,000 plus people that already get this information from the concrete scanning and utility locating industry. 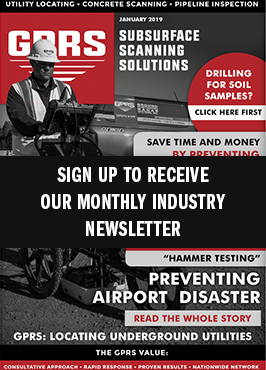 Click here to sign up for the Ground Penetrating Radar Systems newsletter.